The hype train for Star Wars: The Last Jedi is at full steam. (Is full steam a train thing? I don’t really know how trains work.) And one thing that has seriously helped with that is the success of the film’s trailer. However, one major reveal of the trailers has created quite a stir for Star Wars fans: the porgs, the interesting fusion of penguins, moles, and profit that will be seen in The Last Jedi. Well, they haven’t exactly had the greatest reaction since their reveal, with Twitter hate galore. “Y’know what? 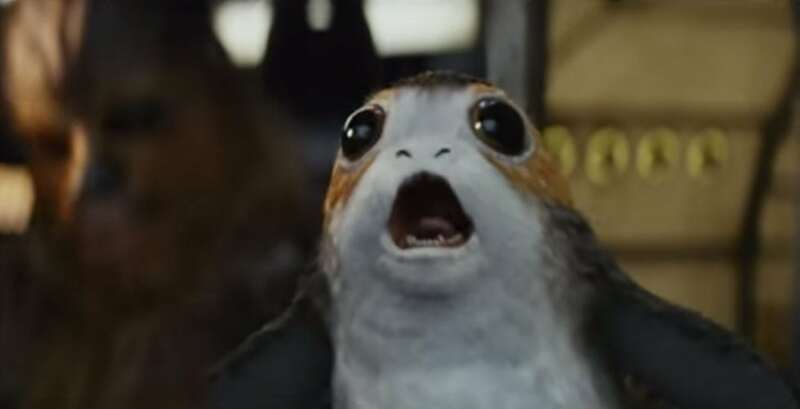 I already hate #Porgs. They’re a really soulless, almost antithetical addition to the #StarWars universe”, said one Twitter user. Listen, buddy, this is the internet. We have no room for cynicism here. “The porgs, on the other hand, don’t believe any of their press. They are an absolute nightmare.” While it appears that Johnson was joking in the video, it is interesting to see such comments considering the amount of hate porgs have already received. Either that or they showed up to the set hungover and refused to leave their trailer until they got a better contract. However, the blockbuster director’s dislike of the already-despised porgs wasn’t the only major bomb dropped in Johnson’s Twitter answers. The director also revealed that there are, in fact, seatbelts on the Millennium Falcon. Isn’t it RADICAL to know that Han Solo and his crew were practicing safe driving techniques when they entered lightspeed? Additionally, Johnson confirmed rumors that the real villain of the film is you, the viewer, for feeding the corporate machine by continually spending money on soulless blockbuster cash-ins.